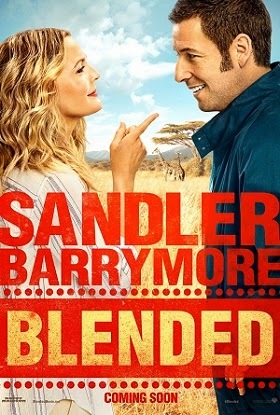 Adam Sandler’s modern day rom-com pairing himself with the never fading Drew Barrymore is a unromantic and less blended. Their chemistry on screen does no fireworks as a result giving a thumbs down to this hot properties of Hollywood. Both play single parent Jim [Adam Sandler] a widower with three daughters and Lauren [Drew Barrymore] a divorcee with two sons go on a blind date to plan a future family together, but all goes in vain. Next a vacation from Lauren’s friend Wendi McLendon who has a fiasco trip of Africa.But a surprise awaits when all of them reach the vacation destination as they have signed up the same trip separately and now have to spent the entire vacation by sharing their suite. The expedition to Africa becomes alike a fairy tale trip, as love blossom with exchanging compassion towards each other kids,Lauren transforms jim’s daughter Hillary[Bella Thorne] from a tomboy to a babe and Jim coaches Lauren’s son to be a winner in a base ball game. The movie concludes with a happy ending climax truly in a Bollywood stlye. 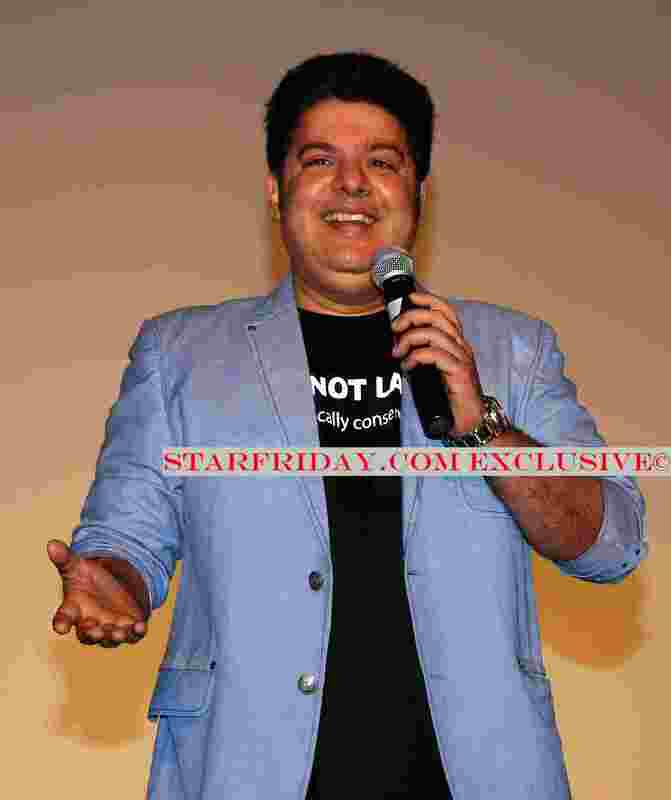 Sajid Khan’s Humshakals promises 9 times the fun and well the event held with the team of Humshakals was seen living up to their promise. The press conference which was held at a suburban theatre saw the Humshakals team – Saif Ali Khan, Riteish Deshmukh, Ram Kapoor, Tamannaah, Esha Gupta along with Director Sajid Khan at their witty and funny best. The makers showed the trailer along with the songs and few dialogue promos which had everyone in splits. In fact everyone present at the event was seen having a fun filled gala time!! Produced by Fox Star Studios and Pooja Entertainment, Humshakals is directed by Sajid Khan and is all set to release on 20th June!! Irfan’s successor was Nawaz and Nawaz’s successor is Sohum Shah. Bollywood industry works like a relay race where the baton of creative hands is exchanged and is passed through generations. Not necessarily within a film family, it can also be true for talent which is not even related. For example all roles that Irrfan Khan used to get couple of years ago, started going to Nawazuddin Siddiqui and all the roles that use to go to Nawazuddin Siddiqui now go to Sohum Shah. All of them are known for their unusual looks and acting prowess. While Irfaan is now excited with more mainstream cinema, Nawaz seems to be leaning towards edgier characters and Sohum is getting attracted to characters roles that allow him to showcase his talent. Comments Off on Irfan’s successor was Nawaz and Nawaz’s successor is Sohum Shah. Tags: Irfan’s successor was Nawaz and Nawaz’s successor is Sohum Shah. Guddu ki Gun, written and directed by Shantanu and Sheershak and produced by Emenox Media PVT. LTD, is a Comedy that promises to be a crazy, mad, totally tripped out ride. In Guddu ki Gun, Kunal Khemu plays Guddu Bhaiya, a charming washing powder salesman in Kolkata with a midas touch and a soft corner for beautiful Bengali Housewives. After 99, Go Goa Gone and now Guddu ki Gun, Kunal in a ‘Boudi Killer’ avatar, is pushing the limits, selecting scripts with twisted innovative, youth centric, urban concepts. Music is by various artists. Cinematographer – Keiko Nakahara, Sets – Nimish and Riyaz, Choreographer – Raju Khan, Muddsar and Amol, Editor -Cheragh Todiwala , EP – Umang Agarwal. Shantanu and Sheershak have earlier written Table no. 21, Aa Dekhen Zara and has also directed 3G in along with writing. Begum Bebo arrives in a rickshaw for Singham Returns. Begum Kareena Kapoor who will next be seen in Rohit Shetty’s Singham Returns was recently spotted driving a rickshaw while on the sets of Singham Returns. It was later confirmed that the actress will arrive in a local auto for a scene in the masala entertainer. If sources are to believed, the actress went behind the steering wheel for the scene making for an amusing sight to see Bollywood royalty travel local style. Comments Off on Begum Bebo arrives in a rickshaw for Singham Returns. 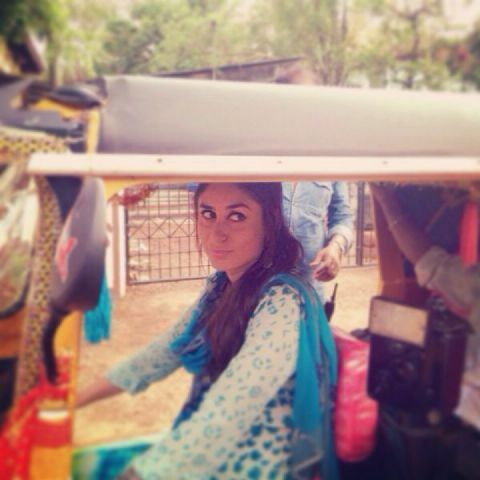 Tags: Begum Bebo arrives in a rickshaw for Singham Returns. After critically acclaimed Highway, Randeep Hooda has bagged a role in Deepa Mehta’s next – an action-packed story about love and family, titled Inland. According to the sources the film will be made in three languages — Hindi, English and Punjabi and is inspired by true life incidents and is about individuality. It will have an international cast, apart from Randeep Hooda., For Randeep, who grew up watching Clint Eastwood films and always dreamt of being a part of Hollywood films, this definitely is a step in that way. Heropanti which is doing great business on the box Office has got itself a new audience. Hrithik Roshan was keen to watch Tiger’s film Heropanti. A special screening was arranged for him on 27th night. 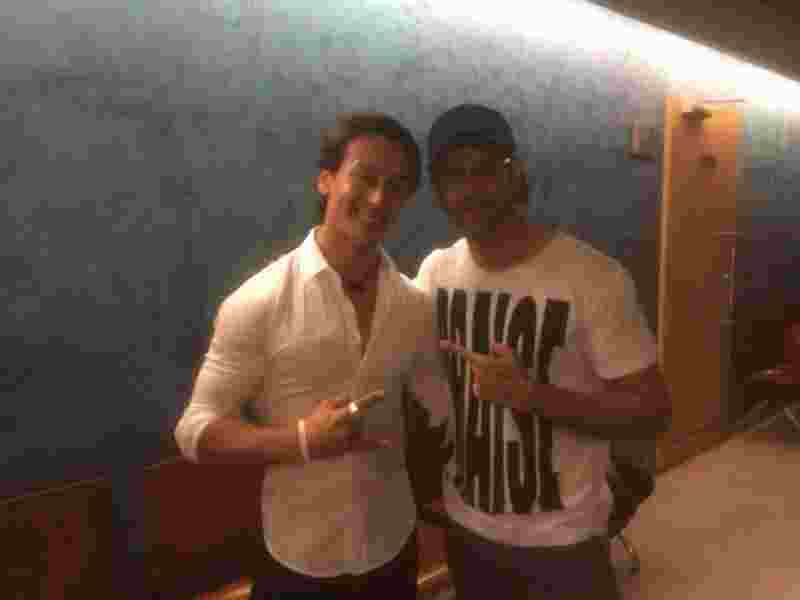 Tiger is a huge fan of Hrithik and he has made it very vocal. Tiger was also present at this screening. 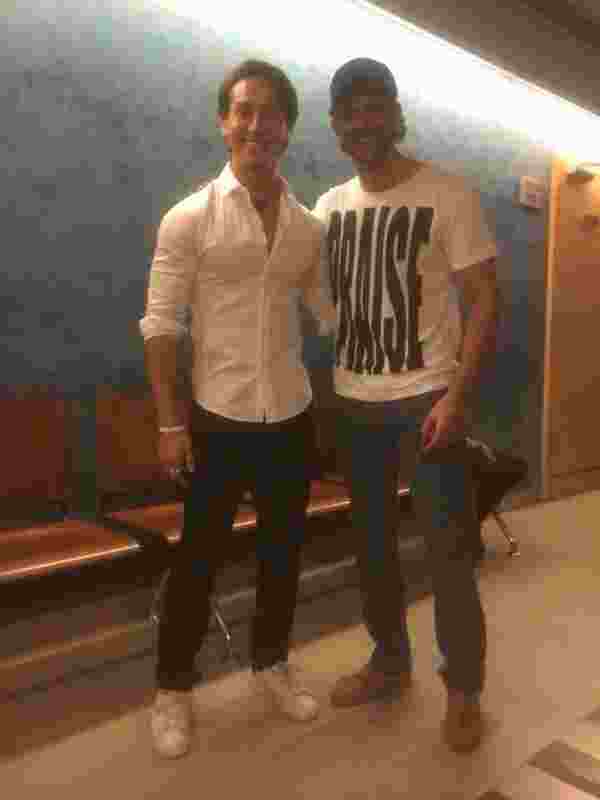 After watching the film Hrithik had a long conversation with Tiger on congratulating him for the debut and spoke about his powerhouse performance in the film. With Tiger on his action and dancing. He was heard saying that like me you have been successful in your first film.